GFS is showing a blink and miss S-ly plume. This utter misery has to end soon,another week of it will finish me. Long time since i've felt as bad as this. This year just continues to be exceptional. We've now had 722 hours of sunshine since 1st May - that's an average of 8.7 hours per day for almost three months. In fact, if the remaining days of summer have just average sunshine, then it'll be the sunniest summer on record. We've only had 20.2mm of rain this summer over five days and 51.8mm of rain since 28th April. This is definitely one that will be remembered for long time. A hot and sultry week coming up here in London. The temperature was 22c already this morning before 8am! There is a 90 % probability of heatwave conditions between 0900 on Monday and 0900 on Friday in parts of England. On Monday, hot and humid air will lie over the east and southeast of England, with cloud and outbreaks of rain across northern England. The cloud and rain will gradually break up and turn showery in the north, with some of these heavy and thundery. South of the rain, long spells of sunshine, will develop with temperatures generally ranging from very warm in West and East Midlands, to hot and humid, locally very hot in east and southeastern areas. Away from northern England, dry and sunny weather should dominate through the week, but interspersed with heavy showers in afternoon and evening periods. Temperatures will be very warm or hot, locally very hot in the east. Thresholds could be breached in places from Monday onwards, with very warm and muggy overnight conditions. Yorkshire and Humber and southwest England will also see temperatures rise through the week, but with cloud and outbreaks of rain affecting the north and west, there is a lower risk of thresholds being reached. There is a chance that Alerts will need to be downgraded and/or extended for the end of the week, however confidence is currently low and this will be reviewed through the week. I think we all appreciate that, but since there is diddly squat any of us can do about it, those of us who enjoy the heat might as well make the most of it. 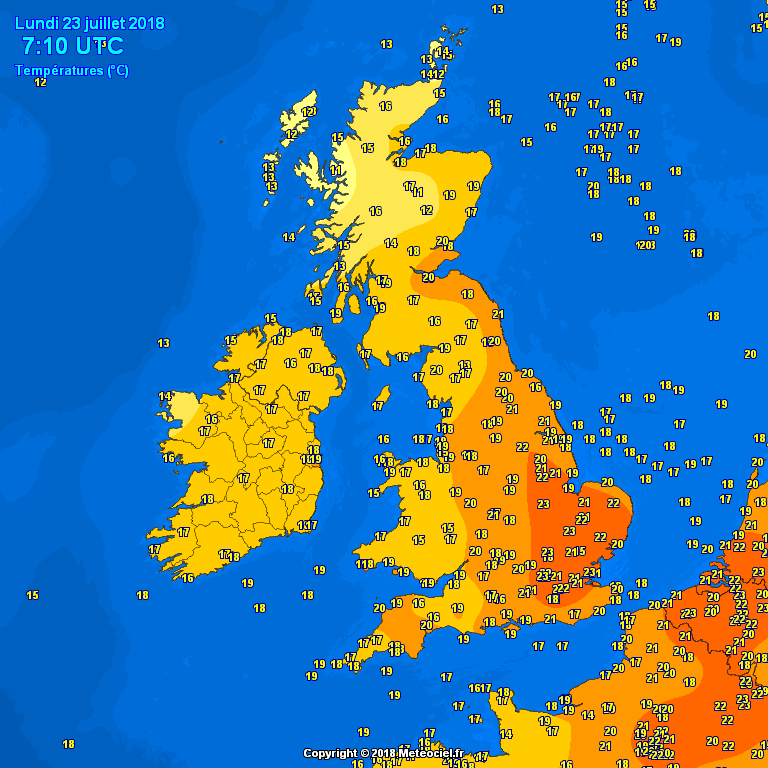 27c already being reported at 10am across a swathe of sites in the SE/E Anglia. It's going to be a hot one! 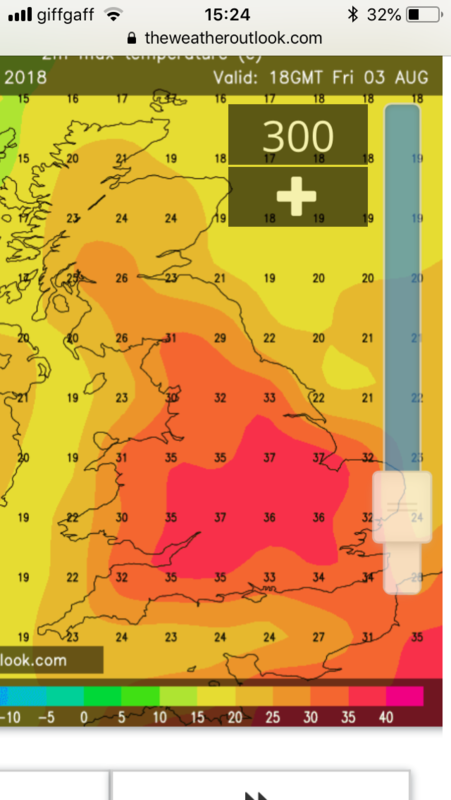 Just for fun I reckon a 34 will be recorded in a couple places this afternoon probably near east anglia let’s say 34.3 my prediction haha I personally find this heat uncomfortable but I’m glad other people are making the most out of this incredible summer so far! From posts I've seen certainly not everyone is appreciative of it like yourself. 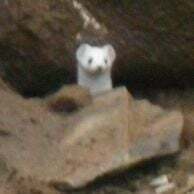 In fact some are almost antagonistic in their approach. Hey ho. Like you said, let those that enjoy it, enjoy. Those that don't, it'll change soon enough and in the meantime hopefully not too many more hospital trips for those that suffer. We had a min temp of 18.6C last night, which is the warmest on record not just for July, but any day back to 1980, beating the previous record of 18.4C on 10th August 1991. Already at 10:30 we'd hit 26.1C today. I'm finding it interesting as a weather enthusiast, but its about time it cooled down now! Our house didn't drop below 27.0C all night, absolutely unbearable. 30c being recorded at Heathrow at 11.50am. I work in central London and it is scorching out there. There’s a few idiots on this forum, best ignored, same in winter when 1962-3 is constantly brought up as some sort of ideal fantasy (the reality being far different). Personally speaking, I’d never wish anyone any discomfort or illness to do with the weather. We can’t change the weather, though, just make the best of it. Those wishing for 40C will no doubt have every sympathy for the vulnerable. I know I do. I'm a fan of extreme weather - not the chaos and destruction it can create, but the beauty and rarity of it. If only some on here had your attitude instead of being belligerent all the time. Today has been a bit humid and playing havoc with my chest problems. Had to use my inhaler a few times already. I didn’t say people were idiots for wanting to experience extremes. That’s all part of being a weather enthusiast. It’s the unnecessary goading of others and spite that I don’t like. Happens more in winter but this year there’s plenty of it in summer. No need. Not far from me, that station. It recorded the lowest minimum in the UK yesterday (11.0C), and could record the highest max today.